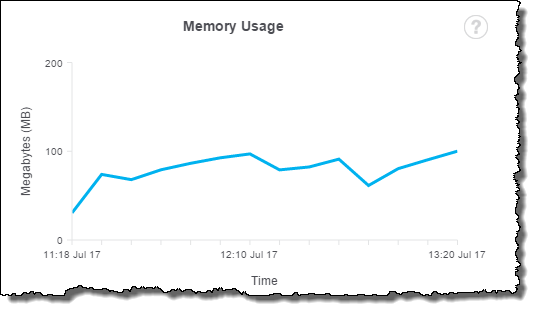 In this article I will show how to utilize some aspects of the paid Bleumix Monitoring and Analysis service to look inside the performance of your applications. 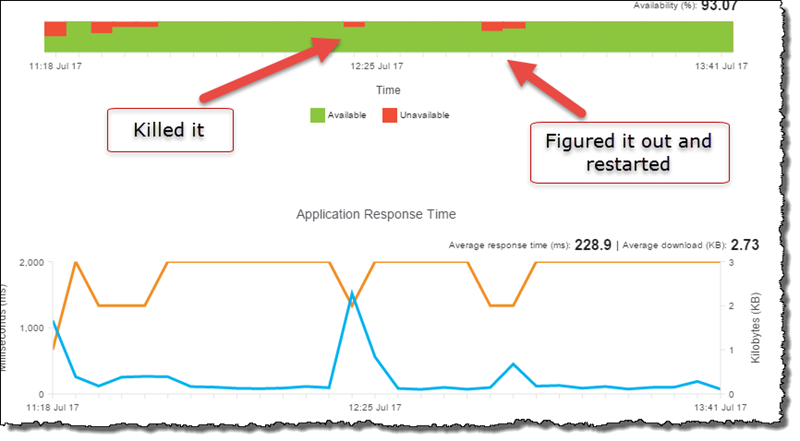 I am in a state of shock, as I am writing this post I actually broke my application, and used these very tools to figure out why……………..COOL !!! 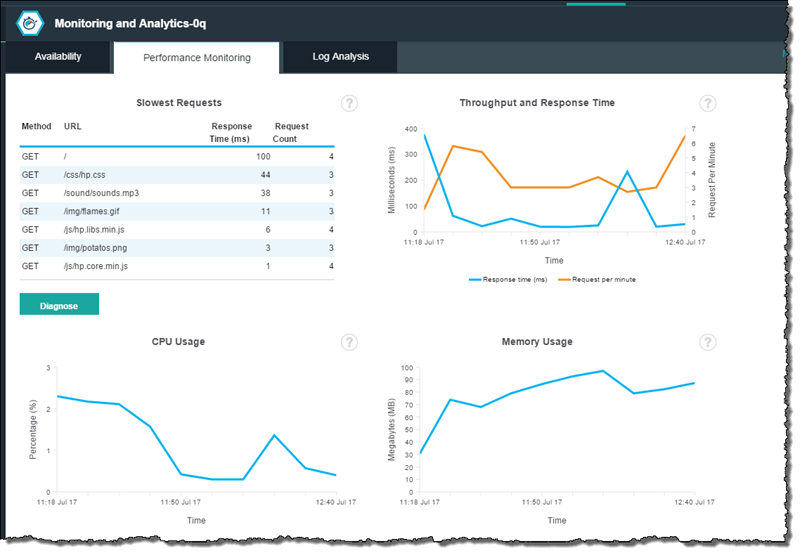 The paid version of Bluemix monitoring and analysis costs $0.03 per application her hour – which equates to about $21 a month per app. Once you turn this on it starts charging – and this is completely outside of the 375GB/Hour free cost. In a week I racked up $5 in charges cos I went away for an extended weekend. So how did I break the application? 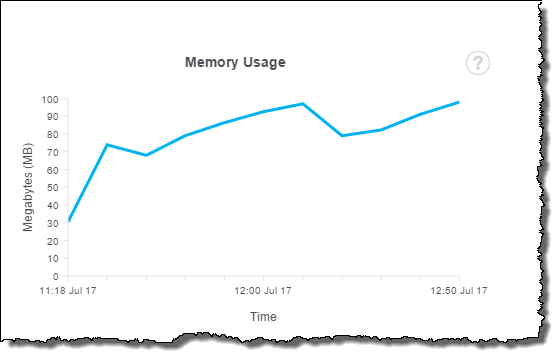 Out of memory……weird – how come? This is fantastic – because I plan to do a live demo of this application in a room full of people next month – there is a really good chance that this would have crashed when 30 people connected to it – and now there isn’t – and that is freaking awesome !!! !